Partnering with One Community, One Book, the North Liberty Community Library will host Michelle Kuo for visit and discussion of her memoir Reading with Patrick. 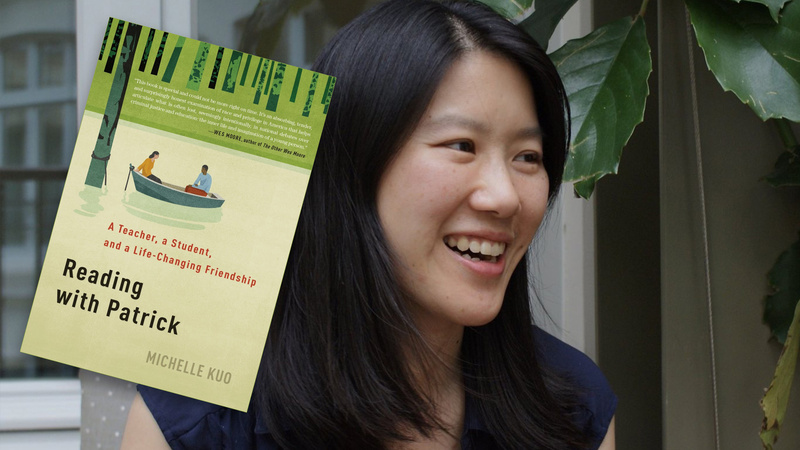 The memoir tells of a time when, as a young English teacher keen to make a difference in the world, Kuo took a job at a tough school in the Mississippi Delta, sharing books and poetry with a young African-American teenager named Patrick and his classmates. For the first time, these kids began to engage with ideas and dreams beyond their small town, and to gain an insight into themselves that they had never had before. Two years later, Michelle left to go to law school; but Patrick began to lose his way, ending up jailed for murder. And that’s when Michelle decided that her work was not done, and began to visit Patrick once a week, and soon every day, to read with him again. Kuo’s partnership with the UI Center for Human Rights will bring her to the area with multiple events starting Oct. 25. Help the library bring this reflective and transformative work into our community in a real way by joining us at the on Nov. 3 at 1 p.m. Registration is encouraged, but not required, via Eventbrite. The library’s BYOBook discussion group will be discussing the book in a small-group setting on Friday, Oct. 26 at Rusciano’s, 710 Pacha Parkway. RSVP to this event to etabor@northlibertyiowa.org by Oct. 25.